The ornate, four-story building at 413-415 Wood Street is abuzz with the sounds of construction. 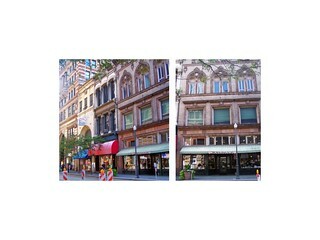 Landmarks Development Corporation is restoring the space to make way for fashion boutique Peter Lawrence this summer. But before the recent crop of plush stores, restaurants and hotels began dotting Wood Street, Pittsburgh's longest-running family-owned business called it home for 16 decades. J.R. Weldin Company was established in 1852 -- the same year that 14th U.S. President Franklin Pierce was elected, frontierswoman Calamity Jane was born and a woman in Boston was arrested for wearing pants. Much has changed in Pittsburgh since then, including Weldins' relocation to Gulf Tower in 2014. But the store's family legacy continues, and its stationery is as sweet as ever.